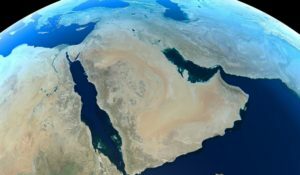 If you’re trying to get the most out of Twitter, you might like these Twitter resources, particularly if your located in or interested in the Middle East and North Africa. You should also look through our MENA Twitter Lists to see who’s doing what on Twitter and ideas on Twitter users to follow. If you’re interested on Spot On PR’s activities on Twitter, you can read more about how and why the agency uses Twitter, plus links to statistics on Twitter use in the Middle East & North Africa on our Welcome from Twitter page. Here are some of Spot On’s favourite Twitter lists. You can follow a list and see all the tweets in your timeline, browse the list’s members for ideas on who to follow, or simply click on the list every now and again when you want to see the stream of tweets. Read more about our Middle East and North Africa Twitter lists here. Spot On tweets reading recommendations daily about Middle East and North Africa media, journalism, media freedom, social media, e-commerce, digital start-ups, entrepreneurship, Internet statistics, art, film, culture and more. Here are some of our recent ‘reading’ tweets.